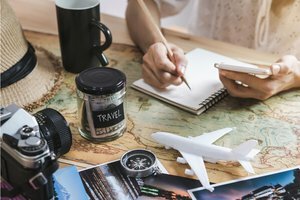 Rosh Hashanah, the Jewish New Year, begins at sundown on Sunday, September 9 in 2018. 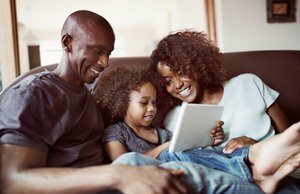 This celebration marks the anniversary of the creation of Adam and Eve, and celebratory feasts are held on both nights of Rosh Hashanah to mark a new lunar calendar year. The typical, traditional dishes and ingredients served at Rosh Hashanah are filled with symbolism, and generally all tend to be quite sugary in order to wish everyone a sweet new year. We've rounded up 20 of our favorite dishes to feature on your overflowing Rosh Hashanah dinner table. Rosh Hashanah always falls at a time of year filled with abundant, beautiful fresh produce. 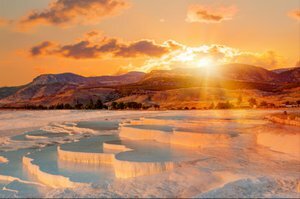 This is no coincidence, as the Jewish New Year celebrations represent the beginning of the cycle of sowing, growth, and harvest. Apples, squash, pumpkins, leeks, and pomegranate are all at their best at this time of year, and these ingredients should be highlighted in your feast alongside traditional beef brisket, sweet noodle kugel, and fresh fish. 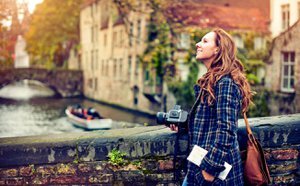 Eating symbolic foods is common at the celebrations of many Jewish holidays, and at Rosh Hashanah these foods are intended to ensure that everybody has a good, happy, successful new year. Most meals begin with apples dipped in honey to wish everyone the sweetest of years. Round food is an important feature as it represents the passage of time and cycle of the year, so be sure to bake your challah in a circle for this meal - and don't forget to add raisins for a sweet touch. 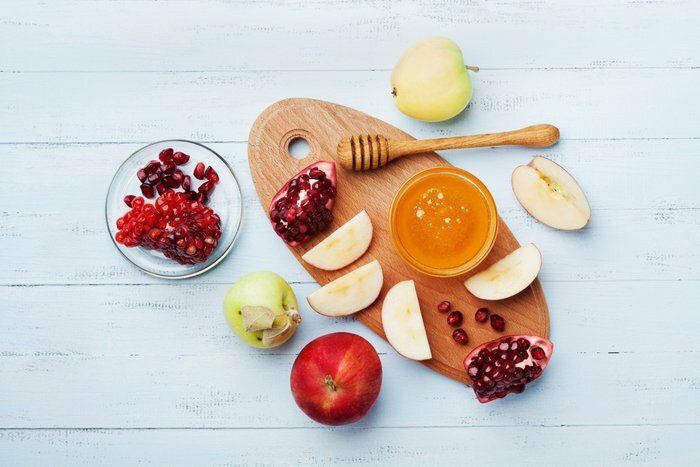 On Rosh Hashanah it is customary to eat apples and honey, which symbolize the hope for a sweet new year, and pomegranates, which have many seeds that symbolize hope that the good deeds in the ensuing year will be as plentiful as the seeds of the pomegranate. This salad incorporates these two customs in a colorful and tasty way. 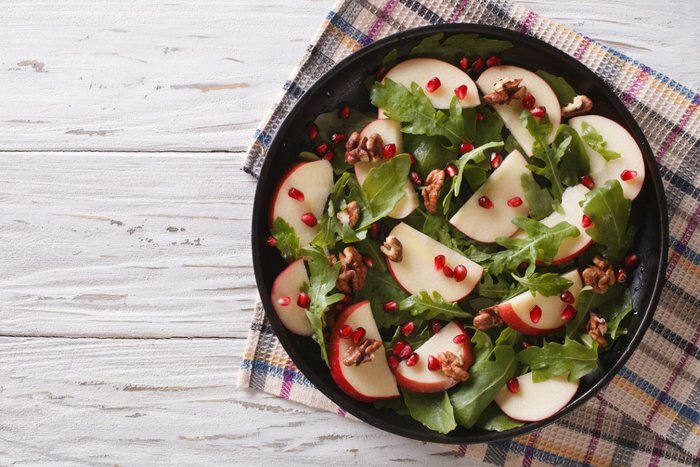 Click here for the Apple and Arugula Salad With Toasted Walnuts recipe. These bright, earthy beets have been given a touch of sweetness thanks to the honey-based dressing. Such a colorful, vivid salad is a welcome addition to the dinner table. 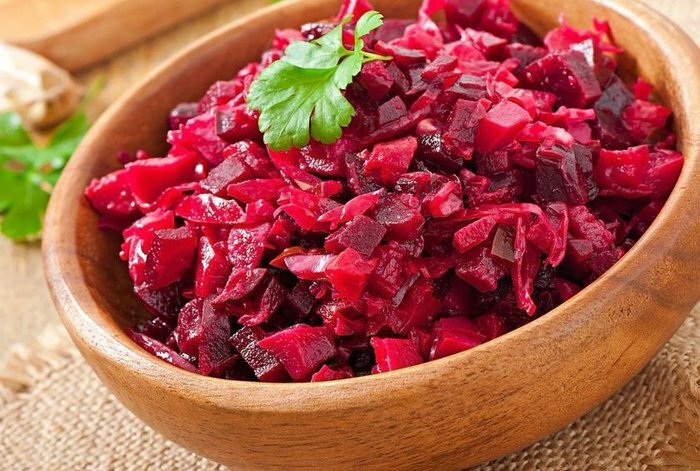 Click here for the Beet Salad recipe. 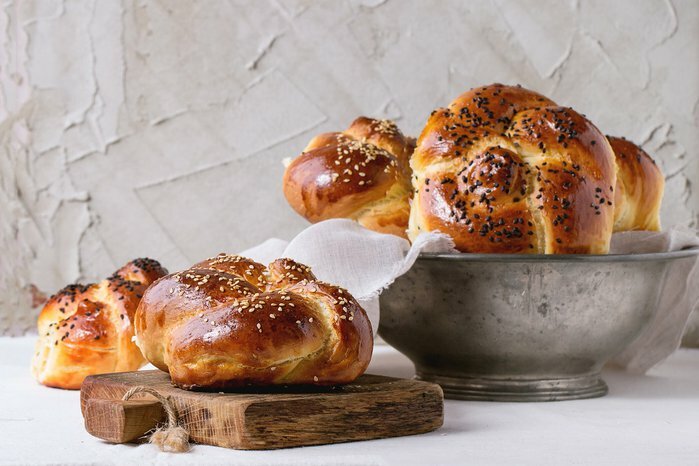 A round loaf of challah with raisins is an essential part of every Rosh Hashanah feast: Its circular shape symbolizes the ongoing cycle of the year, and the raisins represent sweetness. Typically, for Rosh Hashanah, this bread will be dipped in honey rather than paired with something savory. Click here for the Challah Bread recipe. Pomegranates are often featured at Rosh Hashanah feasts as they symbolize fruitfulness. These chocolate pomegranate brownies are the sweetest way to end your celebratory meal. 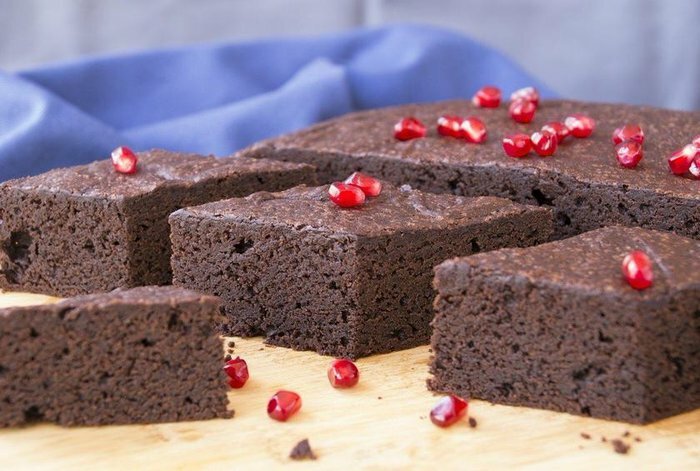 Click here for the Chocolate Pomegranate Brownies recipe. 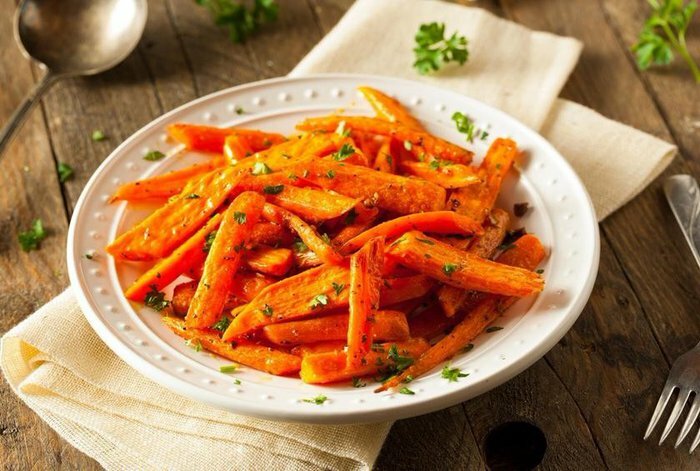 Carrots are a great side dish to serve at your Rosh Hashanah meal, as they're naturally sweet vegetables that are cooked to taste even sweeter when coated in a sticky honey glaze. Click here for the Citrus Glazed Roasted Carrots recipe. 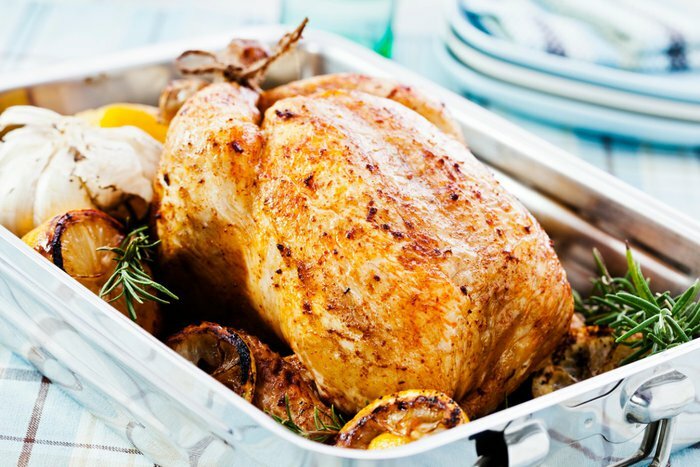 A perfectly roasted chicken makes a wonderful centerpiece to be served with all those sweets and sugary sides. Click here for Roast Chicken recipes. 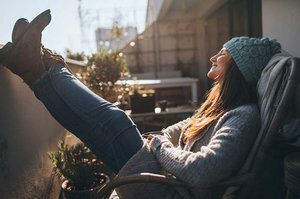 The Hebrew word for a date is tamar, which comes from the root word tam, meaning "to end." Dates are therefore often enjoyed at Rosh Hashanah as they represent the hope that your enemies will be "finished." This sweet cake is one of our favorite ways to enjoy these dried fruits, though they're also delicious when eaten plain. Click here for the Date Cake recipe. Celebrate the beautiful produce and colors of the harvest season with this nutty, flavor-packed farro side dish. 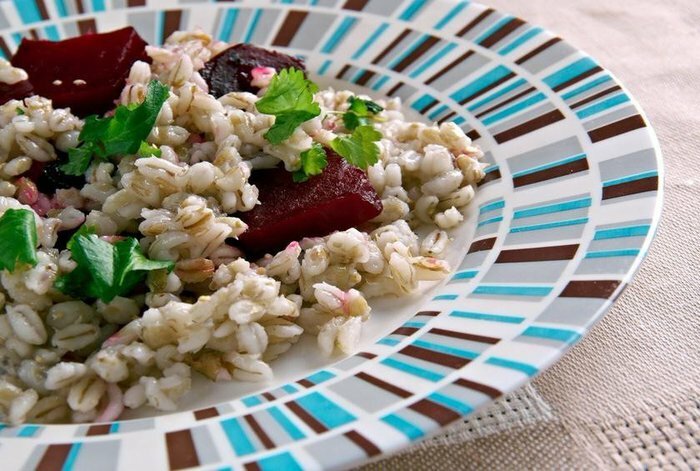 Click here for the Farro and Beet Salad With Blood Orange Vinaigrette recipe. 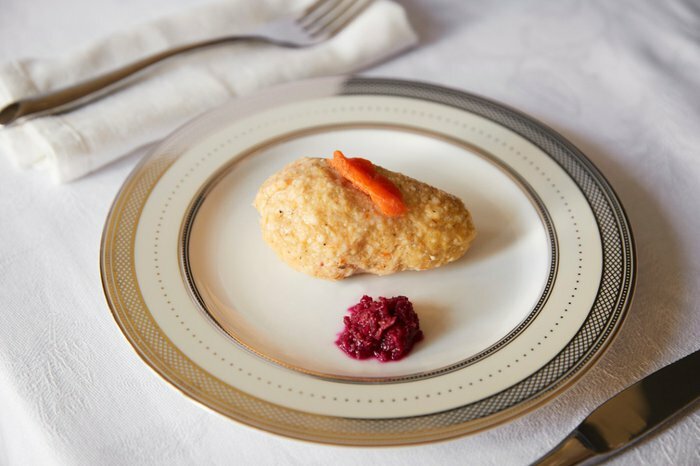 Gefilte fish is a popular Rosh Hashanah dish for all Ashkenazi Jews. 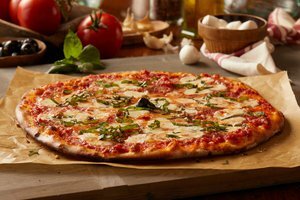 This recipe strays from the traditional one, resulting in a slightly lighter, more herbal dish. Click here for the Gefilte Fish in White Wine-Herb Broth recipe. 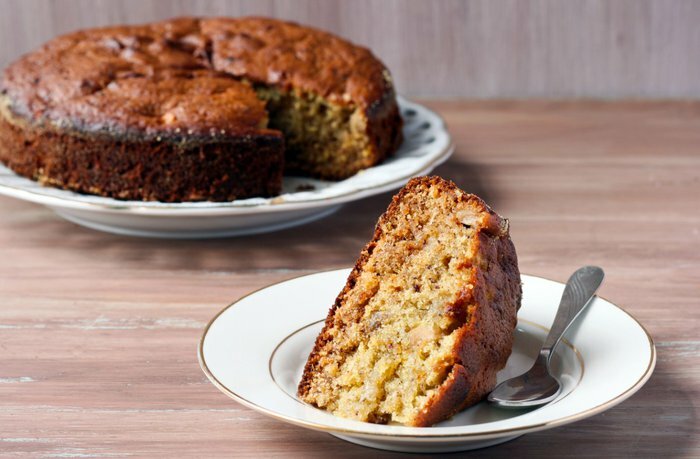 Take the tradition of eating apples dipped in honey one step further by baking this cake that features both of these wonderfully sweet ingredients. 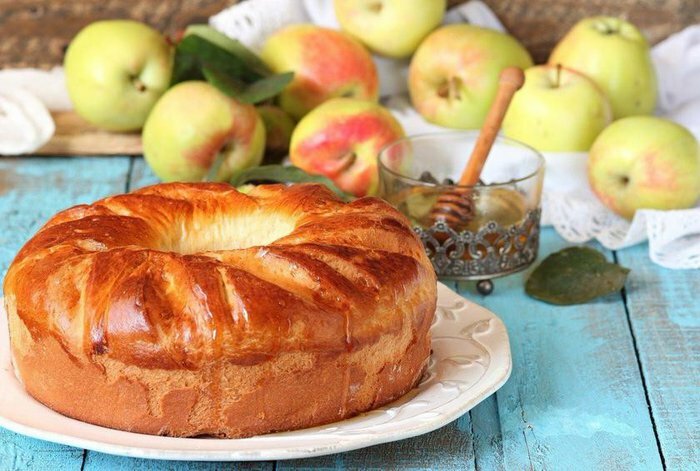 Click here for the Honey Apple Cake recipe. Invert the traditional ritual of eating apples dipped in honey by dipping your honey cake in this sweet, seasonal apple confit. 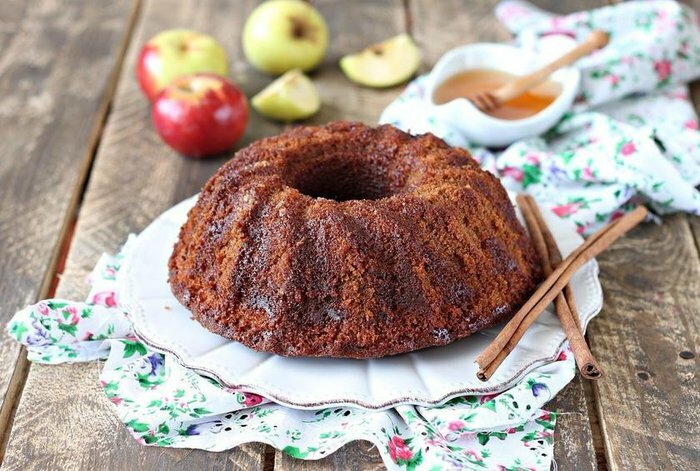 Click here for the Honey Cake With Apple Confit recipe. Leeks are often served at Rosh Hashanah as the word for leeks, karet, means "to cut." This is referred to in the prayer where it is said that those who wish to hurt us will be "cut off." 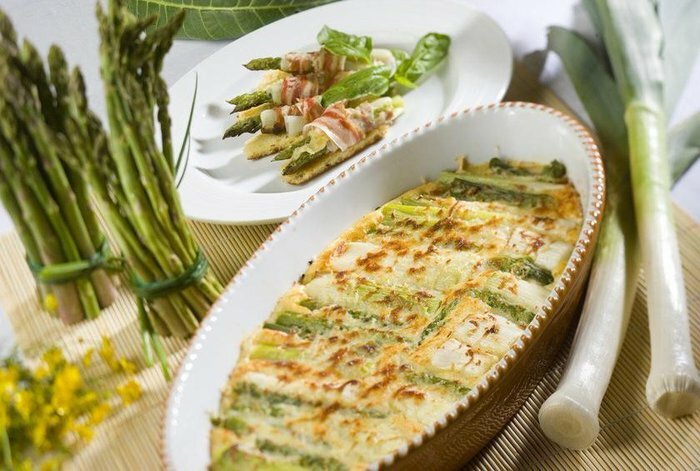 Click here for the Leek Gratin recipe. What would a traditional Jewish holiday be without a comforting, warming bowl of everybody's favorite matzo ball soup? 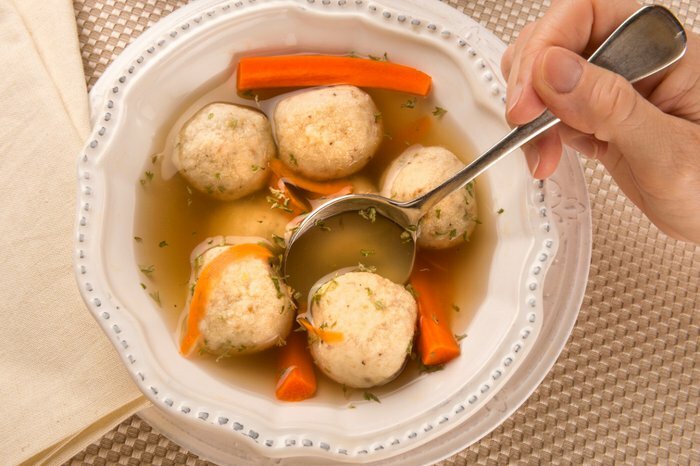 Click here for the Matzo Ball Soup recipe. Kugel is a traditional Jewish casserole, normally made with egg noodles or potatoes and fresh cheese like farmer's cheese or cream cheese, and can be made sweet or savory depending on additions like cinnamon and raisins. For Rosh Hashanah, this traditional dish is usually made sweet. 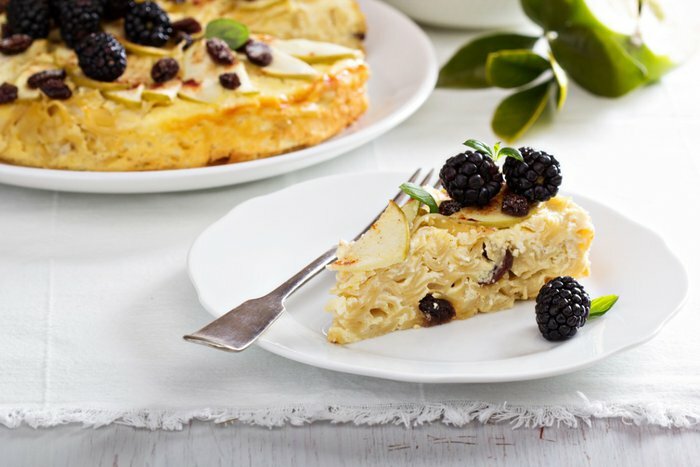 Click here for the Noodle Kugel recipe. Sugar pumpkins are a common feature at Rosh Hashanah dining tables because of their sweet flavor and the belief that, similar to how the thick skin of a pumpkin protects its insides, the Jewish people will be protected from evil. 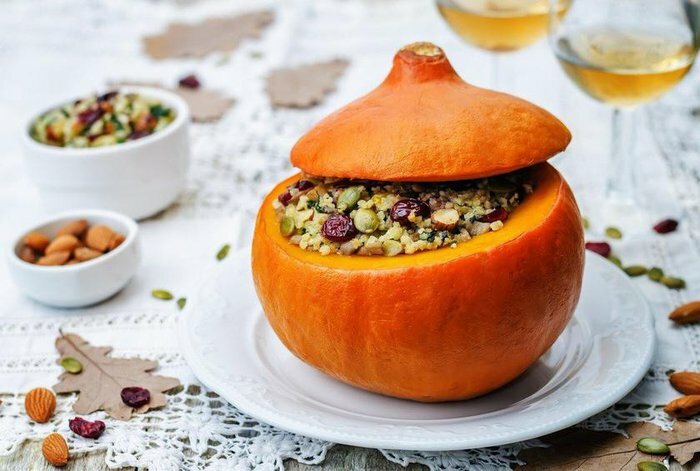 Click here for the Quinoa-Stuffed Sugar Pumpkin recipe. Eating sweet things is actively encouraged over Rosh Hashanah, and we really don't need any more of a reason than that to make a sweet, flaky batch of rugelach. 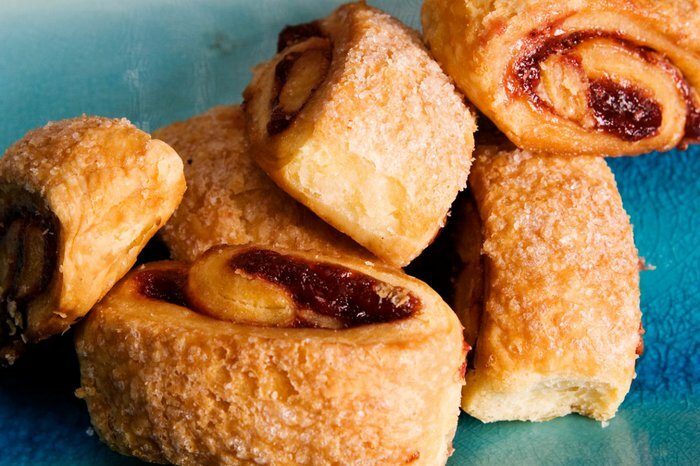 Click here for the Rugelach recipe. 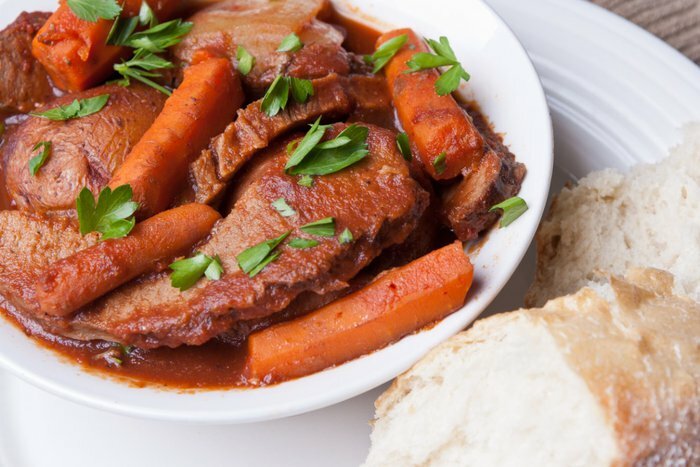 A comforting bowl of hearty beef stew - also known as cholent - is the most seasonally perfect dish to serve at your Rosh Hashanah meal. This version is made in your slow cooker, so you can let the slow cooker do most of the work while you're off celebrating with family! 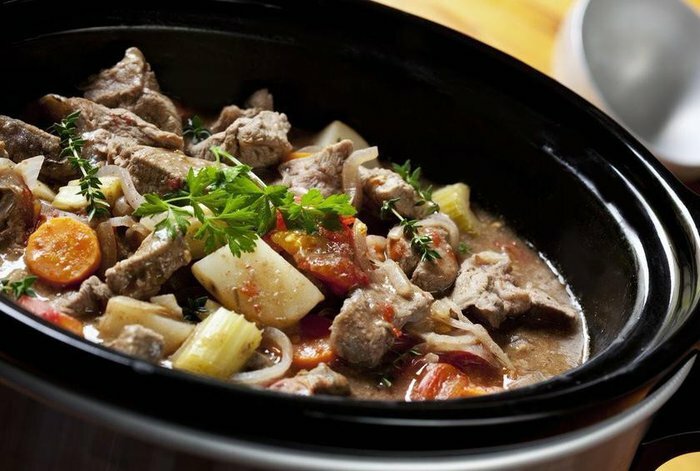 Click here for the Slow-Cooker Beef Stew recipe. Brisket is a staple of many Jewish family meals. This recipe makes the hearty classic a tinge sweeter with a honey glaze and red wine sauce. Click here for the Red Wine and Honey Brisket recipe. 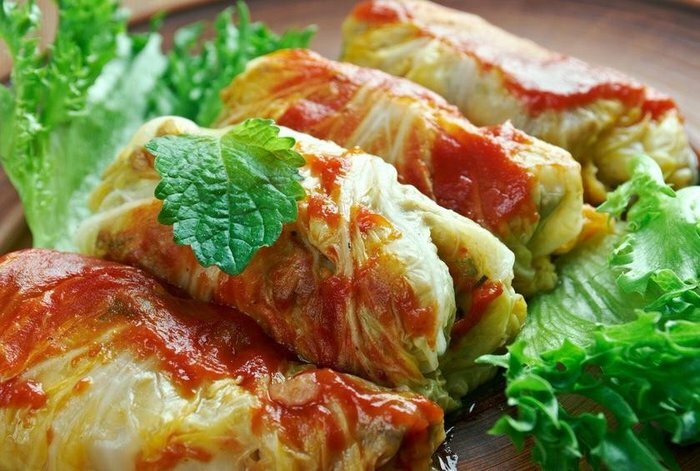 These beef-stuffed cabbage rolls, called holishkes, symbolize abundance. This is a Polish take on the recipe, which serves the cabbage rolls in a sweet and sour tomato sauce. Click here for the Stuffed Cabbage Rolls recipe. On Rosh Hashanah, fish is often served and eaten as a symbol of the coming year being one of plenty. You could also follow the tradition of placing the fish's head on the table and reciting a prayer over it, but we won't force this tradition on you if you're squeamish. This recipe isn't your only option for serving fish at your holiday table. These light, yet simple seafood recipes would make for a perfect main dish. 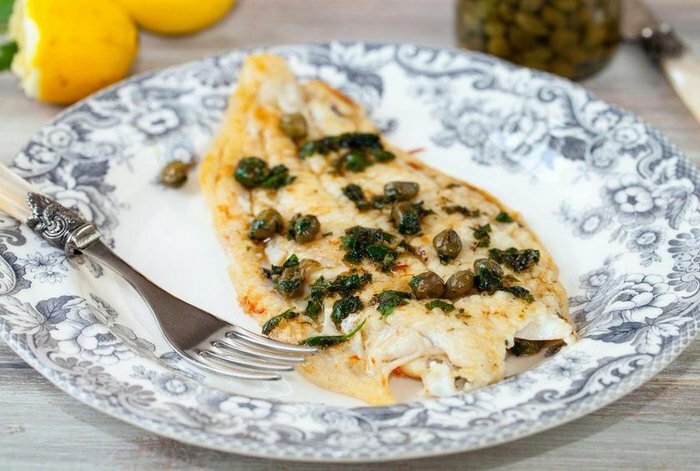 Click here for the White Fish With Lemon, Capers, Mustard, and Parsley recipe.